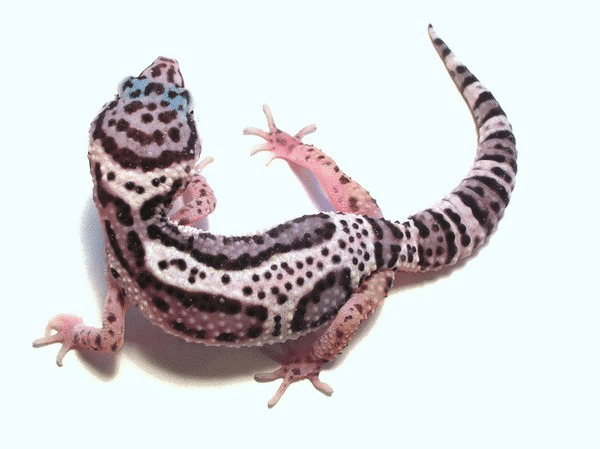 The Mack Snow leopard gecko morph originally came from John and Amy Mack from Reptiles by Mack. They came across some hatchlings which looked like “Snow” hatchlings rather than normal hatchlings. The following season, John and Amy bred the hatchlings back to each other. In the breeding, they produced Super Snows, Mack Snows, and Normals. We have some gorgeous Mack snow leopard geckos for sale carry top-end genetics and are handled as often as possible to have a more relaxed, tame, and pet-like temperament. Mack snow leopard geckos for sale are one of the more exotic leopard gecko morphs as they are super bright and colorful. If you are considering purchasing a mack snow leopard gecko for sale, you have come to the right place for not only the nicest geckos, but the best prices anywhere for this quality animal! At CBreptile.com, we have a biologist on site, and handle our baby leopard geckos often in order to ensure a friendly, calm and relaxed pet, and only work with top genetics to ensure we are improving the captive bred species as part of our efforts to provide the best possible pet geckos for sale in the world. At CBReptile.com all of our reptiles for sale, including our geckos for sale are captive bred and NOT wild caught. We have a Biologist ON SITE and offer a Live arrival and FULL 7-day health guarantee on ALL Of our animals. Our guarantee extends to 30 days for all customers who purchase full habitat kits. All of our orders ship via FedEx Overnight in heated or cooled, insulated containers (when needed) and leave our facility at 6:45 PM and are on your doorstep the following morning before noon. One Shipping charge of $39.95 covers up to 5 reptiles for sale. We are not only leopard gecko breeders! We are also proud to be crested gecko breeders as well as gargoyle gecko breeders! Be sure to check out all of our leopard gecko for sale, as well as our baby leopard geckos for sale, crested gecko for sale, gargoyle gecko for sale as well as our panther chameleons for sale and blue iguana for sale as well as green iguanas for sale. If you are looking for other reptiles for sale, including turtles for sale or tortoise for sale, please visit our sister website, Tortoise Town. 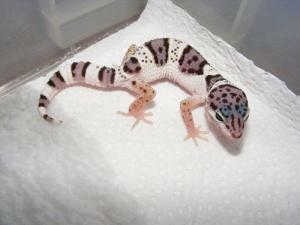 Looking for a beautiful mack snow leopard gecko for sale? We’ve got ya covered! 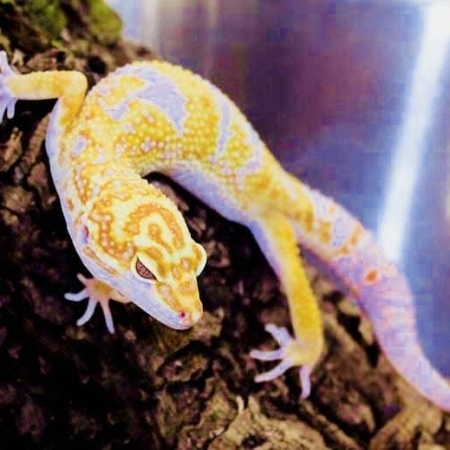 Above all, CB Reptile has the nicest leopard gecko morphs for sale anywhere! We have some gorgeous Mack snow leopard geckos for sale carry top-end genetics and are handled as often as possible to have a more relaxed, tame, and pet-like temperament. Mack snow leopard geckos for sale are one of the more exotic leopard gecko morphs as they are super bright and colorful. If you are considering purchasing a mack snow leopard gecko for sale, you have come to the right place for not only the nicest geckos for sale but the best prices anywhere for this quality animal! At CBreptile.com, we have a biologist on site, and handle our baby leopard geckos often in order to ensure a friendly, calm and relaxed pet, and only work with top genetics to ensure we are improving the captive bred species as part of our efforts to provide the best possible pet geckos for sale in the world. Mack Snows were first to be thought of as Co-Dominant. Now after further review, they seem to be Incomplete Dominant. There are three different forms, Super Snows, Mack Snows, and Wild Type. The Mack Super snow leopard gecko is the homozygous form of the Mack Snow gene. 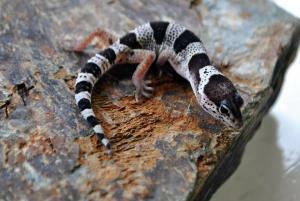 The Mack Snow leopard geckos for sale are the heterozygous form of the Mack Snow gene. 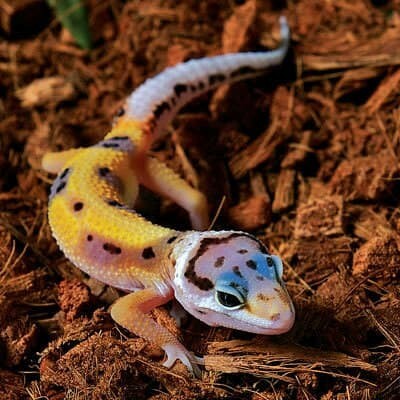 The Wild Type do not have the Mack Snow gene and generally look like Normal Leopard Geckos for sale. See the pictures below for examples. Mack Snow leopard gecko, when bred to other Mack Snow leopard geckos for sale, have the ability to produce a Super Snow. 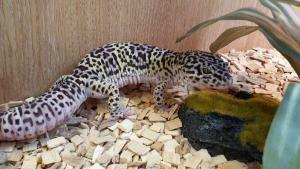 The genetics of Mack Super Snow leopard gecko will be discussed in the next section. When they hatch, they seem to have an all purple or silver hue to them. As they grow, the birth color fades into a white body with black broken pinstripes. They also have two solid black eyes. The leopard gecko for sale has some of the most relaxed and calm personalities in the reptile kingdom once they are used to being handled. They’re perfect for beginners and extremely popular among long-time reptile collectors alike.